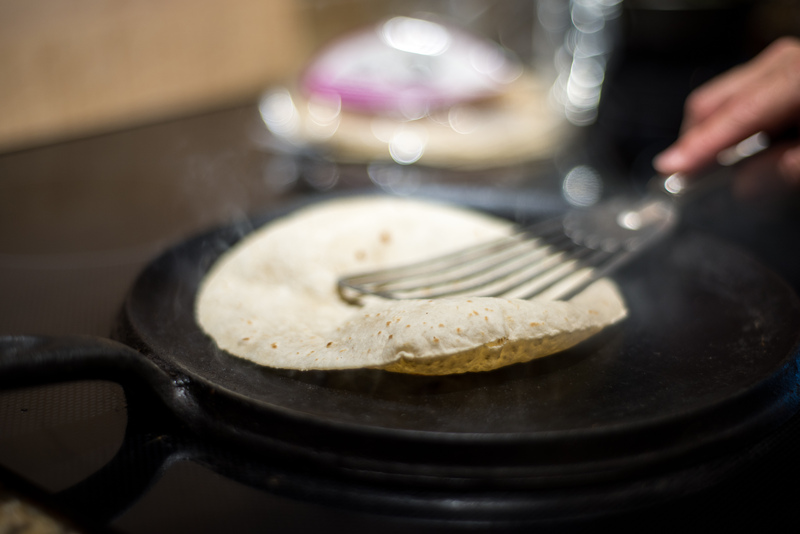 For times when nothing but a freshly made tortilla will do, try our raw flour tortillas. Hot off the skillet, they truly taste authentic and homemade. They don’t even need fillings. Even when they are served plain or spread lightly with butter, you’re in for a treat. The work is already done; now just turn on your stove and reap the reward! Organic wheat flour, water, organic canola oil, non-aluminum baking powder, salt. 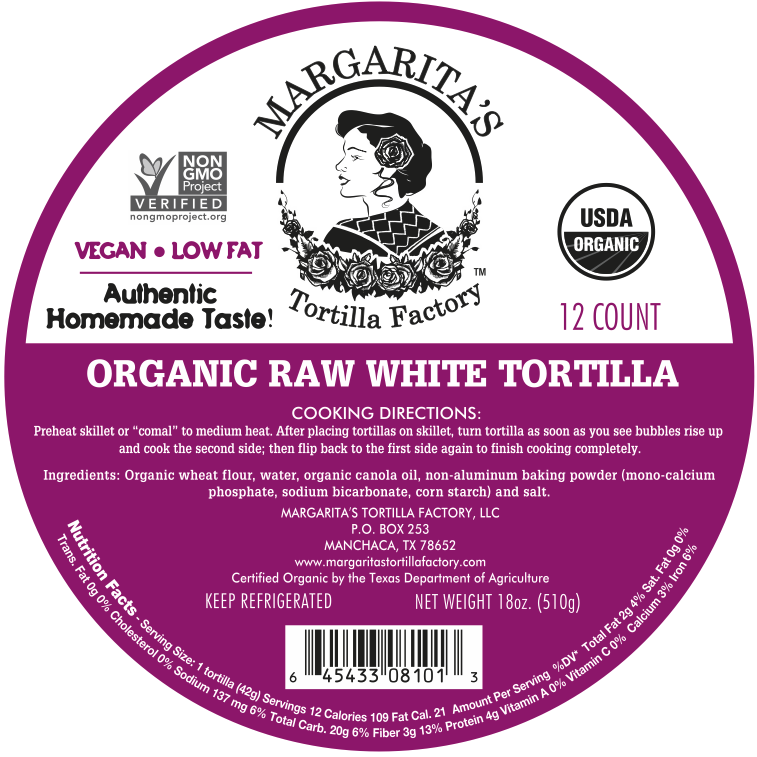 We love your raw white tortillas! Thanks for making such a great product! Just like my abuela used to make. Place the tortilla on a preheated comal or skillet. As soon as you see bubbles rising up, flip the tortilla. Cook the second side, then flip again to finish cooking completely.